No strangers to commercial success they also make up two-thirds of the dance act Fragma, who alongside Hardfloor alumni Ramon Zenker, topped just about every club chart in 1999 with their debut release, ‘Toca’s Miracle’. A year later they reached the apex of the coveted UK singles chart with the re- issue, while their album, ‘Toca’, proved they were no one-hit wonders yielding further hits including the top five singles ‘Everytime You Need Me’ and ‘You Are Alive’ with together more than 2 million sold records worldwide. 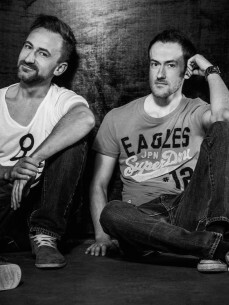 While always keen to keep one-foot in the underground, the brothers also record under the Duderstadt moniker that invariably finds the EDM community salivate over their acclaimed trance and cutting edge electronica productions; Paul Van Dyk, Armin Van Buuren and Ferry Corsten just three of the heavyweight names regularly supporting their music. As to their own productions, a brace of singles for Big & Dirty Records in Holland - ‘The Milky Way’ was due in August 2009, with ‘Catwalk’ a month later. Both records went straight into the most important underground download portal Beatport. Followed by a number of singles on Uk ́s most influentual underground label Cr2 Records and Hollands biggest Label Spinnin Records, it was just a matter of time until America ́s No. 1 Dj Kaskade asked them for a collaboration on his recently released album „Fire & Ice“ which climbed um to #4 at Itunes US Album Charts one week after its release. Not enough their world hit Toca ́s Miracle got the 4th release with an updated Inpetto Remix in 2011.